Freeze the yogurt for 1-2 hours or until frozen, serve with mango and cocoro love letters. This post is linked to the event Little Thumbs Up (May 2015 Event: Yogurt) , organized by Zoe (Bake For Happy Kids) and Mui Mui (My Little Favourite DIY), hosted by Cheryl (Baking Taitai). 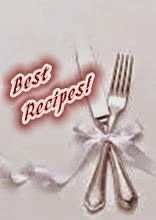 I'm joining Best Recipes for Everyone May 2015 Event Theme:My Favourite Desserts hosted by Fion of XuanHom's Mom and co-hosted by Aunty Young. This peach flavour yogurt + mangoes definitely taste great !